It’s been a big week for Music On Hold. 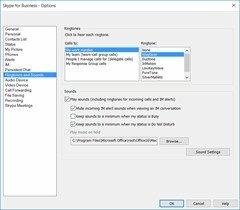 I’ve found a bug in the Office 2016 client that kills MOH if you mute, and another one again – this time related to the path your Office installed itself into. 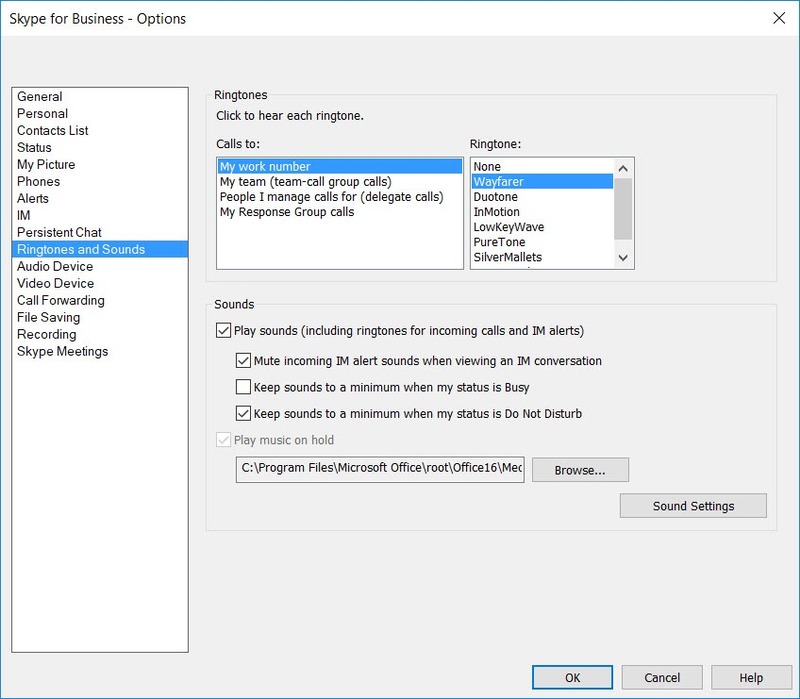 The symptoms were simple enough: internally, or for external parties when the Sonus SBC’s own MOH feature was disabled, putting callers on hold resulted in them hearing silence. And there is no /root/ branch in the folder tree! 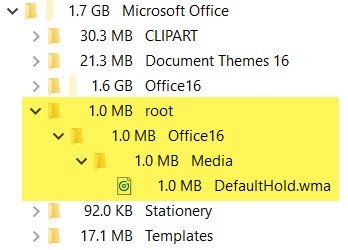 I don’t know how it got this way, but as I’ve only encountered one client showing this problem I just created the required folders and copied DefaultHold.wma across. I bounced the client for good measure and all came good. I was curious to see if the error was logged anywhere so you could perhaps easily determine how widely/if you were affected. I couldn’t find any mention of it in the Applications Event Log – it looks like it’s handled internally and the client moves on. I can’t say for sure. 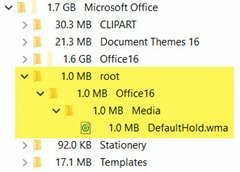 The client version I found this on is the Office 2016 MSI, and so far only the one instance. The lazy way out (if you’re using a Sonus 1k, 2k or SweLite SBC) is to enable MOH on the SfB Sig Gp. Yes, that only affects PSTN calls, but they’re the most critical ones – and I did say this was the lazy way out! I’ve documented that process here if you’re not familiar with it. Hard-code into the CsClientPolicy the correct path: C:\Program Files\Microsoft Office\Office16\Media\DefaultHold.wma. For bonus points this means the users won’t be able to change it (as doing so greys-out the Browse button). (Thank you TreeSize Free for that image).